Clock House, located on the main street, in the centre of the small market town of Midhurst in the South Downs National Park, was originally a main and important dwelling, listed Grade II. 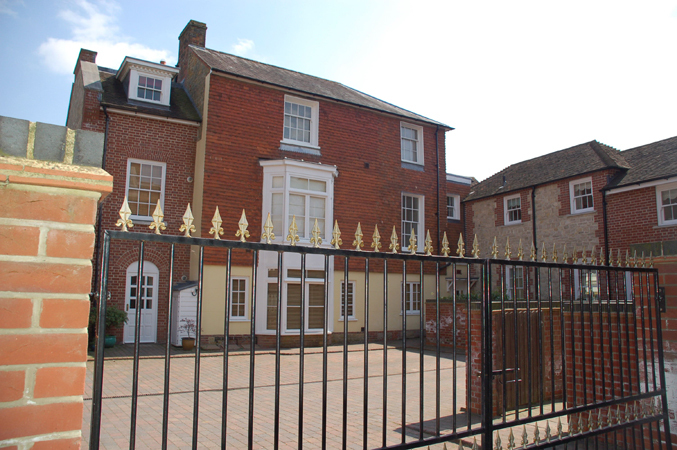 There were several adjoining single and two storey extensions to the rear around a courtyard and at the time of the acquisition and for several decades before, the buildings had been used as offices. 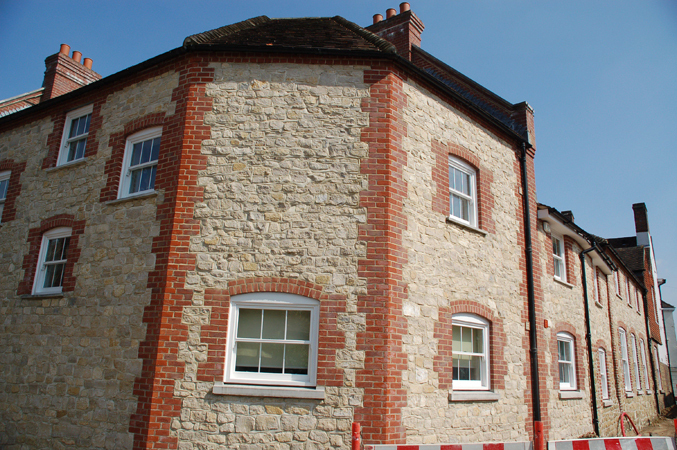 The practice was commissioned to change the use back to residential, with conversion of the existing buildings, restoring the fabric which was in a poor state of repair and replacing various inappropriate additions and details. 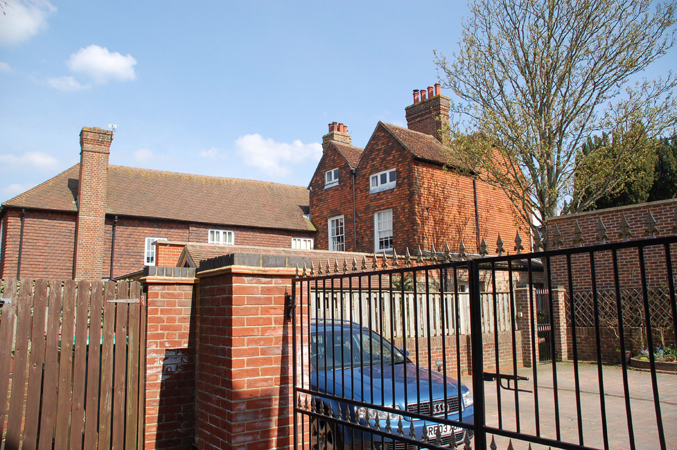 In addition the open end of the courtyard to the rear was closed with an additional building to bring the number of residential units, apartments and cottages, to nine. Much of the internal detail to the main house remained, albeit long covered up by partitions, false ceilings and the like. The conversion enabled us to reveal these fine details and in the process create very desirable and highly attractive interiors for the new residences. 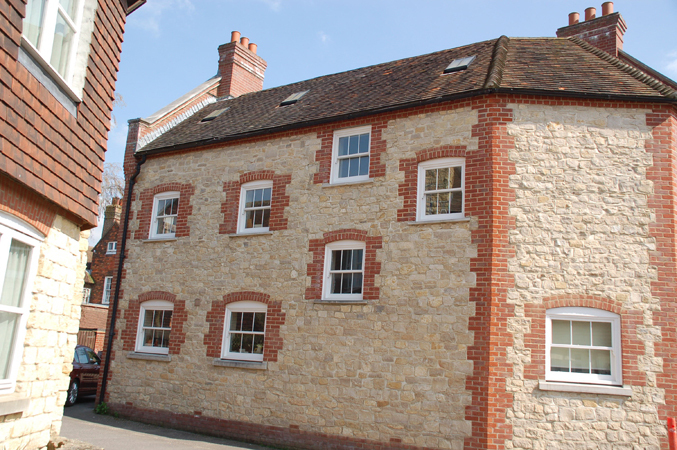 All new building work is in matching material, local brick and stone walls, as this is a listed building and set in a Conservation Area with very strong local traditions. To the rear the courtyard is hard landscaped with granite sets, matching edgings and kerbs, planters and planting beds. Planters are filled with shrubs and trees to provide a soft relief to the hard landscape. The group is enclosed with a low brick and stone wall with railings and a gateway entrance to provide a secure environment to the rear. 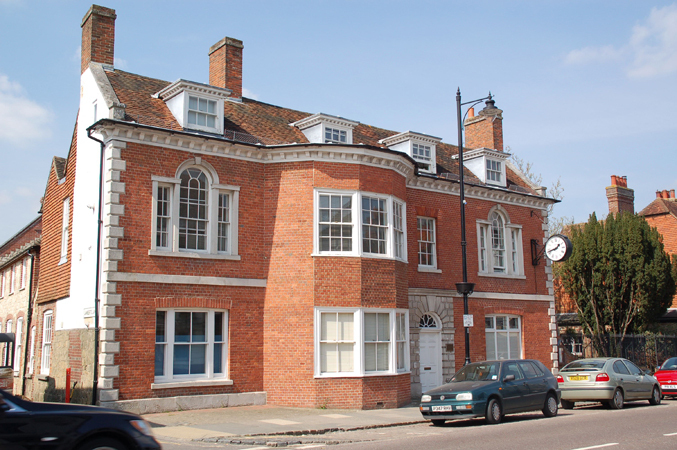 The six apartments and three cottages, a mix of two and three bedroom units, set in this very central and highly attractive and sustainable location, enabled the developer, a specialist in sensitive developments, like the practice, to sell all the units before the development was complete.